From Swan Lake to the Nut Cracker, ballet in PA is breathtaking. Don't miss the grace and beauty of these dancers' performances in PA! Our guide will tell you just where to head to for some of the best shows around! Some of the most beautiful performances you'll see take place right here under the big roof on JFK Boulevard! The company has been around since 1963 and been a cornerstone of ballet in America ever since then. There are currently 40 dancers in the company and perform 6 different productions in Philadelphia; their most notable performance being The Nutcracker. Tickets are available from their website, be sure to plan ahead when picking out a date! Any performing arts enthusiasts need to stop into Pennsylvania Ballet and catch one of their many shows. One of the best ballet performances you'll catch in Philly! Don't miss out on this magnificent company! Enjoy a more new-age style of ballet? Then look no further, Ballet X is the company for you! Founded in 2005, Ballet X has been pushing the boundaries on contemporary ballet since it began. Combining the concepts of classical ballet with the avant-garde ideals of athleticism and contemporary dance, Ballet X is truly a unique sight to see! Ballet X has been the premier dance company of The Wilma Theater for the past 5 years. Holding 3 annual performances in Philly, Ballet X has expanded to international shows. You won't want to miss these performances. Ballet X certainly brings a style of their own to the name contemporary ballet! Classic Ballet at a Fraction of the Cost! 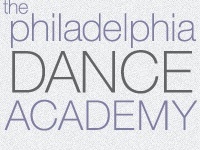 The Philadelphia Dance Academy is the premier ballet company for youths in Philadelphia. Don't let their age fool you though, these children and young adults put on performances that will surely blow you away! The two more notable times to stop in and see a show by this company are in June for their spring showcase and again in December when The Nutcracker hits the stage. This is a great place to get your youngster involved in the performing arts as well. They specialize in early childhood dance, primary and pre-professional ballet, adult and teen recreational class and theater dance. So, if you want to check out a great ballet with younger dancers, then these shows are for you! Unique and Innovative Dancing Concepts! Ballet Fleming is not your typical ballet company. Having only been established in 2010 does not downgrade the performance of their shows by any means. 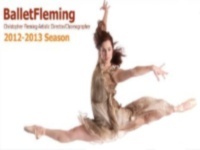 Fleming has been putting out one-of-a-kind ballet performances with a style all its own! Fleming aims to bring a fun and invigorating experience to the art of ballet. Their shows use narratives, rock and roll, and classical dancing all fused into one unique display of a performance. Their performances entertain, inspire, and create a visually stunning performance the likes of which are generally not seen on stage. Be sure to see their performance Myth and Madness of Edgar Allen Poe, a true homage to the writer/poet and a dazzling spectacle to witness! One of the top 7 national studios, Metropolitan Ballet Academy has been around for over 15 years providing the community with a professional expert company for children and young adults. Spanning performances from ages of 3-18, Metropolitan puts out some of the most impressive performances around. The company borrows from some famous ballet schools such as Vagonova and Balanchine to incorporate a very professional, expertise style of teaching. Located just outside of Philly, Metropolitan has coordinated for the past 9 years with Pennsylvania Ballet to work on their version of The Nutcracker together. So come out for a show or start your own ballet career right here at Metropolitan Ballet Academy!